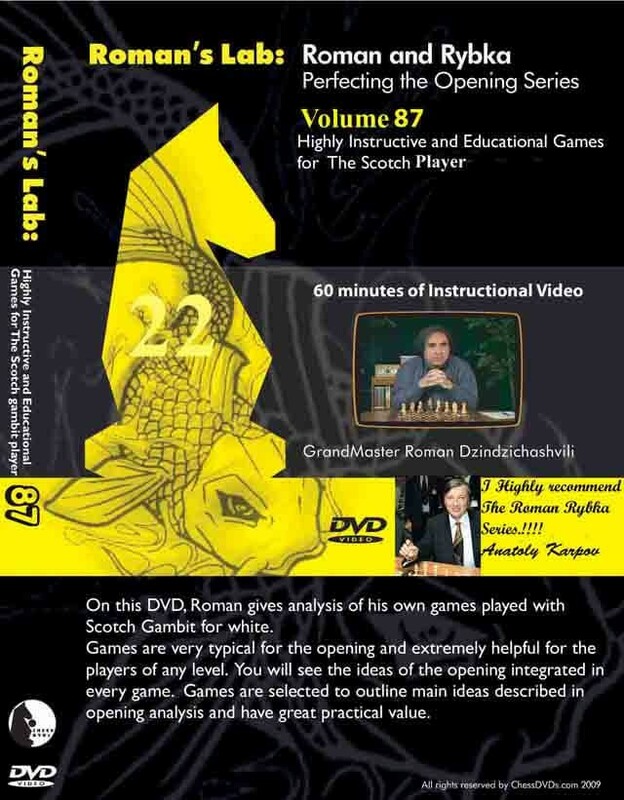 On this DVD, Grandmaster Roman and Rybka will give you a thorough understanding of the Accelerared Dragon for black. Roman has selected a number of typical Accelerated Dragon games, the kind that you might experience in your own games for maximum education value. Roman will show you how players of all skill levels can add the Accelerated Dragons to their own weapons aresenal by outlining the main ideas and concepts in the games.